Canada’s Eldorado Gold (TSX:ELD)(NYSE:EGO) scored Friday a fresh victory in an ongoing battle with the Greek government over permits for its projects in the country’s north, as authorities issued all pending licences for the company’s Olympias project. The news follows the miner’s threat earlier this week to halt investment and operations beginning Sept. 22. The Vancouver-based firm, Greece’s biggest foreign investor, cited years-long permit delays and a lack of information on an arbitration process to settle differences with authorities as main reasons. Local miners protested Wednesday outside government buildings in Athens against the potential job losses Eldorado’s decision would bring. Police tried dissolving the demonstration with tear gas, but a group pushed past and entered the premises. Move follows the company’s threat earlier this week to halt all investment and operations in the country beginning Sept. 22. 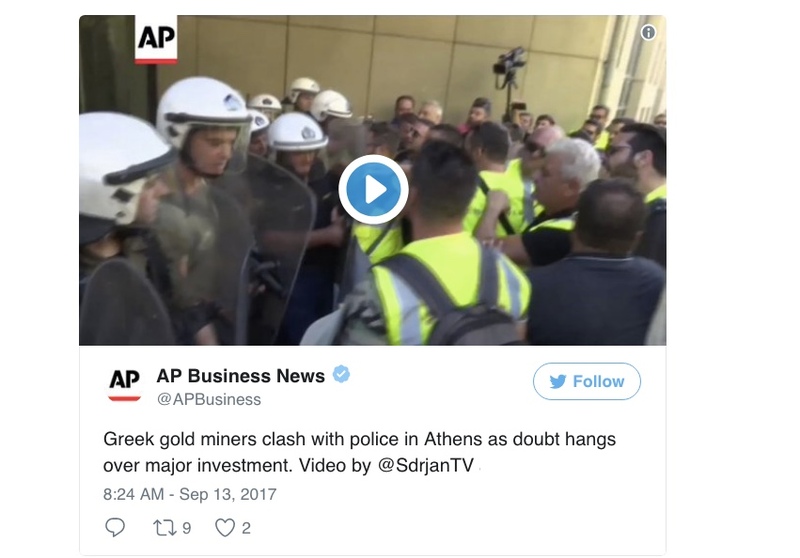 The riot ended with Environment Minister Giorgos Stathakis promising to issue all pending permits for the company’s Olympias project before the end of the week. While Stathakis delivered of its promise, Eldorado is still awaiting permits for its Skouries project, the main bone of contention between the company and Greek authorities. “Upon receipt of the required Skouries permit and the Greek government being willing to engage with us in constructive discussions, the company will then be in a position to re-assess its investment options in Greece,” it said in a statement. On Thursday, the company was officially informed that the government had kicked off an arbitration process over Eldorado’s technical study for the Madem Lakkos metallurgical plant. The document, submitted in 2014, has been qualified by Greece as “deficient” and in violation of the environmental terms previously set for the project. 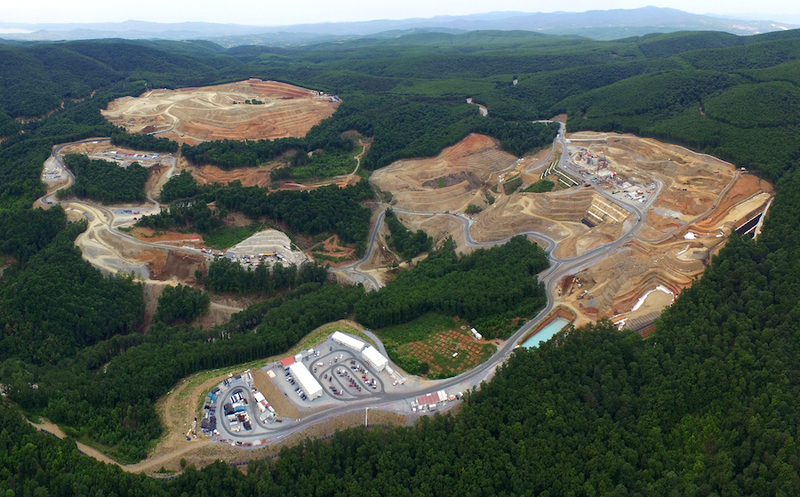 The Canadian gold producer, which has one mine and three projects in Greece, has been trying to develop the Skouries and Olympias for years, but local opposition and differences with Greek authorities, especially over compliance with environmental regulations, have delayed progress. Eldorado wants more permits before reassessing planned freeze. Uncertainty about the company’s projects in the European country has weighed heavily on its share price, which is down 27% so far this year, touching a 14-year low of $2.24 on Aug. 4. In the last 24 hours, however, the stock has gained about 21% in both, the Toronto and New York exchanges and it jumped again in pre-market trading Friday, up 1.26% to $2.41.